A species originally introduced from Europe for basket-making. Known in Michigan only as a presumed escape from cultivation at East Lansing, Ingham Co. (Beal in 1899, MSC). 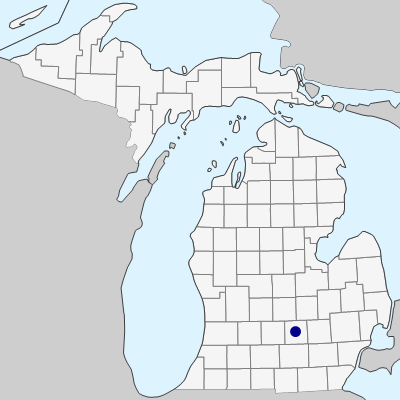 Specimens of S. pellita f. psila might key here, but would be from natural sites in northern Michigan. MICHIGAN FLORA ONLINE. A. A. Reznicek, E. G. Voss, & B. S. Walters. February 2011. University of Michigan. Web. April 21, 2019. https://michiganflora.net/species.aspx?id=2643.